Have funeral flowers and sympathy flowers delivered to Paradise Funeral Home in Dallas, TX with express delivery from Bice's Florist. We are honored to create exquisite arrangements and honorable tributes designed to express your love and adoration for the deceased. We also specialize in crafting floral designs meant to comfort the bereaved, and we carry a selection of plants and non-floral gifts to help do the same. 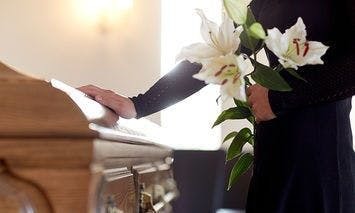 Let us help you celebrate the life of those loved and lost with our funeral flower delivery service. Browse our selection of funeral flowers online or call us directly for more information regarding custom orders.